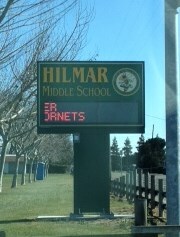 Fayetteville, NC, February 20,2013 – Youth Speaker and Teen Expert Quentin Whitehead inspires 500 students attending Hilmar Middle School in California, to “Be B.I.G.G.E.R Than The bully”! A new program that is having a huge impact at schools and campuses around the country. Whitehead’s approach to bullying is resilience. 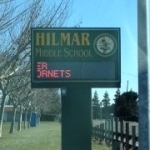 He taught the awesome students at Hilmar Middle, the importance of fortifying S.E.L.F, an acronym that he utilizes to inspire students to value who they are. Furthermore, Quentin also taught through an activity, the importance of creating a bully free culture. Helping students to understand that we need all hands on deck in order to prevent and put a stop to bullying at their school. By the end of the talk, students were excited and rushed up to Whitehead thanking him for visiting their school. Several students had questions, and of course Quentin made himself available to answer each one. For event or meeting planners interested in having Quentin address their student groups, please click here http://www.qwhitehead.com/hire-quentin. He would love to help you cultivate a bully FREE culture!